Storm Front has grown up to be tall and straight and just as handsome as his pedigree and award suggests. 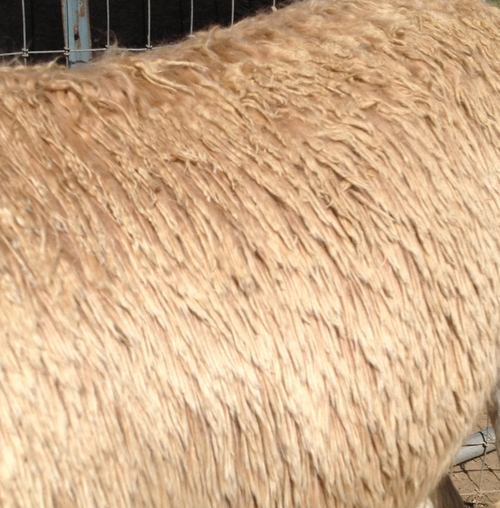 His fleece still locks to the skin after being shorn 4 times, and his luster is visible all the way across the pasture! He's ready for your female. 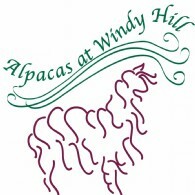 His crias are straight and true, with every bit of his glowing luster and lock. 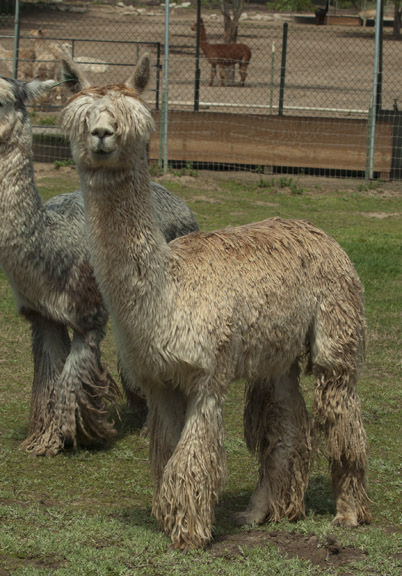 His color history is rich in golden fawn, but he is also producing medium brown and true black! His slightly refined head is all that distinguishes him from Apache in the field. 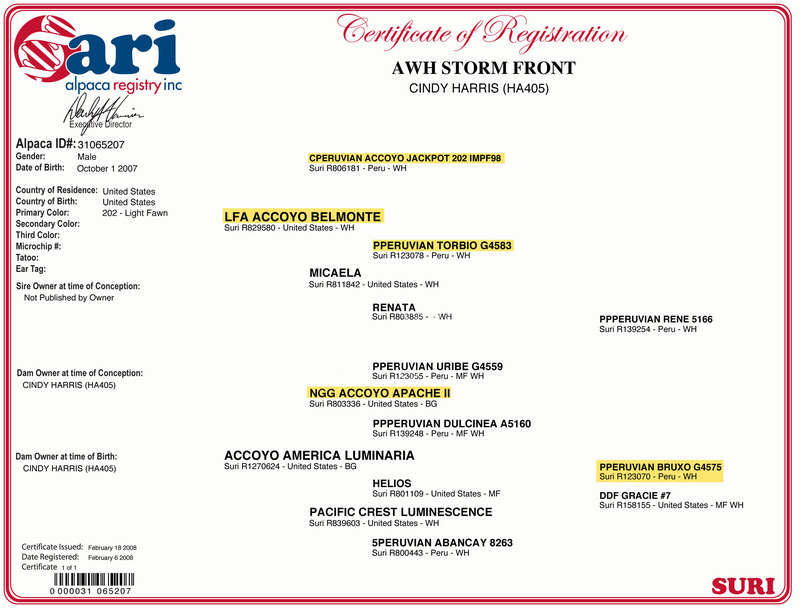 Come take a look and consider Storm Front for your next breeding.